The service in the dining room was always attentive. As many say the Hotel is a little dated in places, however it is an amazing experience to truly escape and experience something a little different staying on Comino. We had no problems with the food or our room. Not sure it fits any of the above, dated, but clean would be better. 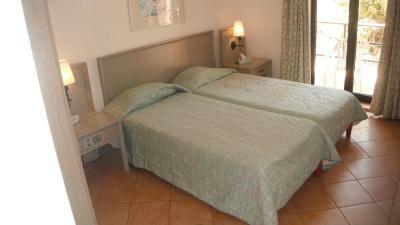 Staying here is a lovely way to appreciate the island after the day tourists have left the Blue Lagoon. Swimming in Santa Maria Bay was also nice. Walking around the island is easy and interesting. Great for a relaxing time. The weather wasn't so great when we were there, so we didn't use the pools. The lady in the shop is very accommodating and offered to bring something from Gozo that wasn't available in her store. That was really sweet. 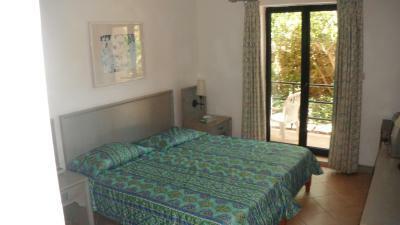 I liked the tranquillity and the staff was wonderful so helpful and lovely!!! The food was always varied and always good and in abundance. IT is a place for total relaxation and helps you to forget about the rest of the world. The location is beautiful. The pool area is also lovely. I would go there again. 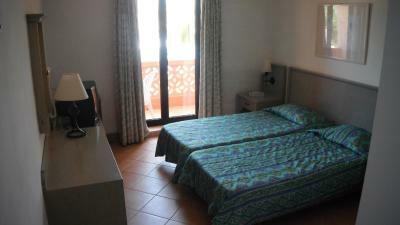 Comino Hotel This rating is a reflection of how the property compares to the industry standard when it comes to price, facilities and services available. It's based on a self-evaluation by the property. Use this rating to help choose your stay! 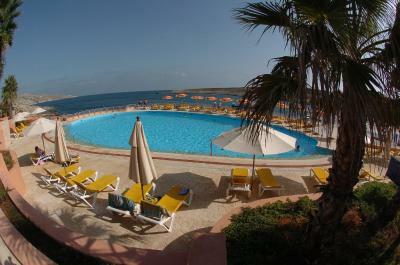 Comino Hotel is set directly on a private beach in Saint Nicholas Bay, on the smallest of the Maltese Islands. It features an outdoor swimming pool, and 2 terraces. Some rooms offer either sea or garden views. 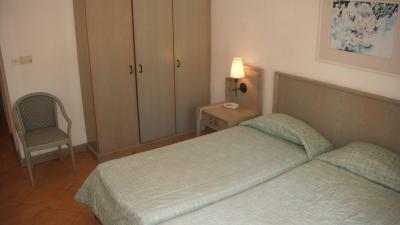 The air-conditioned rooms have classic furniture and decor, and tiled floors. 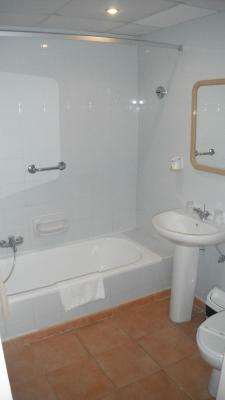 They feature a private bathroom with bath or shower. 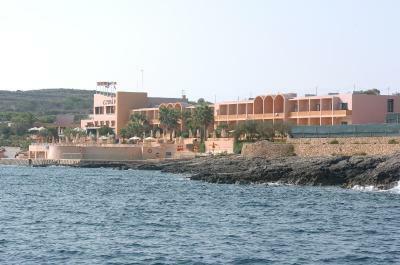 Hotel Comino prepares a sweet and savory buffet breakfast every morning, and it is served in the dining room. The on-site restaurant prepares international cuisine, but special menus can be arranged. A snack bar is also available. 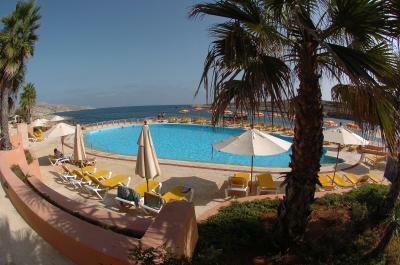 You can relax on the sun loungers by the pool or have a swim in the bay's crystal-clear waters. A tennis court and massages are available at an extra cost. A shuttle service to/from Luqa Airport in Malta can be arranged on request at an additional cost. The property also has a small meeting room. 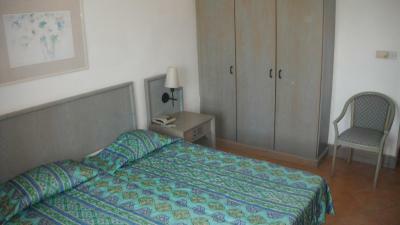 This property also has one of the top-rated locations in Comino! Guests are happier about it compared to other properties in the area. 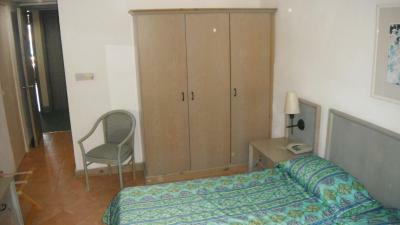 This property is also rated for the best value in Comino! Guests are getting more for their money when compared to other properties in this city. 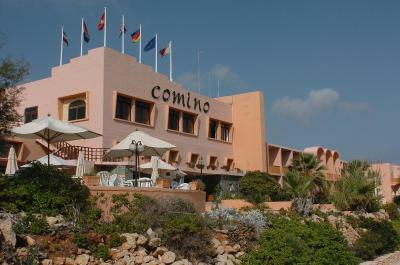 When would you like to stay at Comino Hotel? 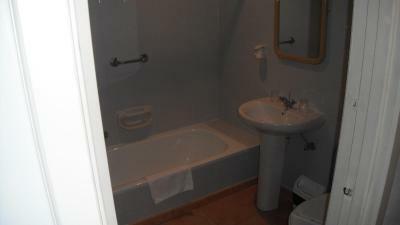 Features air conditioning, and a private bathroom with bath or shower. 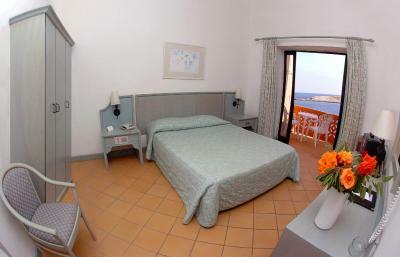 Offers views of the Mediterranean Sea. 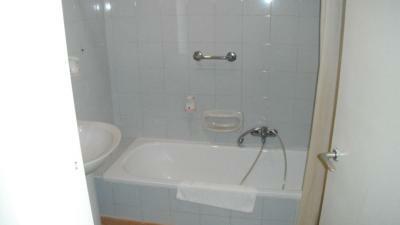 Features air conditioning, and a private bathroom with bath or shower. House Rules Comino Hotel takes special requests – add in the next step! Comino Hotel accepts these cards and reserves the right to temporarily hold an amount prior to arrival. Please let Comino Hotel know your flight number and expected arrival time in advance. You can use the Special Requests box when booking or contact the property. 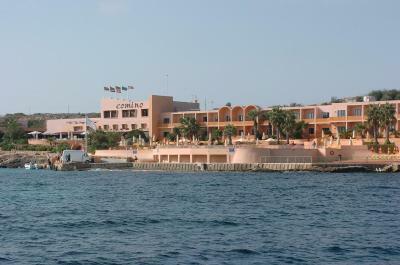 The hotel provides a private boat connecting you from Cirkewwa port to Comino Island, at an extra cost of EUR 10 per person and per stay. Please note that the all-inclusive rate includes breakfast, lunch and dinner as well as local alcoholic and soft drinks from 10:00 until 23:30, snacks from 10:00 until 18:00 and tea from 16:30 until 17:30. Sun loungers are free for half and full board rooms. Well, the days of former glory have left their traces, but now the hotel needs renovation work. On hot water in the evening and the bad was not comfortable. The waiters take your dinner plate away before you have finished your last mouthful of food, which is not how it should be, they lean across tables over others food, really of putting. Overall, the hotel needs some TLC. It's a bit rundown, but if you're keen on just appreciating the island for what it is and don't expect anything fancy, then it's worth staying there. Standard way below four stars. Desserts are not good at all especially compared to the rest of the food. Lunch offerings were not super good either but fine. The location, the beaches, the relaxed ambiance. Expensive drinks. No free water during dinner on half board basis. Empty swimming pool. Comfy bed. Good breakfast and dinner. I did not like the fact that there were people who paid less than I did and were all inclusive while I was on half board. I think the prices should be the Same for everyone. 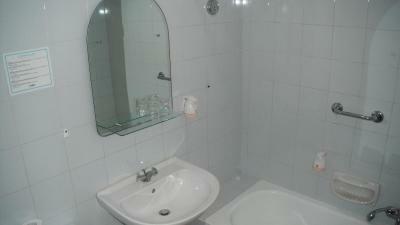 The place needs a good refurbishment for the price you pay. The fridge didn't work. The sun beds around the pool were extremely dirty. 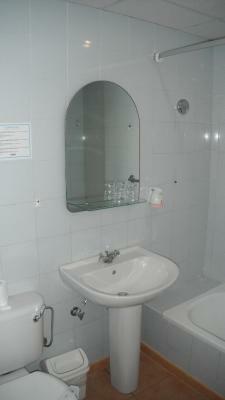 The bathroom was generally in poor condition wobbly toilet seat, didn’t flush properly. The bath when used as a shower was very unstable. We left a pair of shorts in the bedroom when we left and despite numerous phone calls were told they hadn’t been found! !